September brings a bumper crop of new publications and resources which I hope you will find of interest. 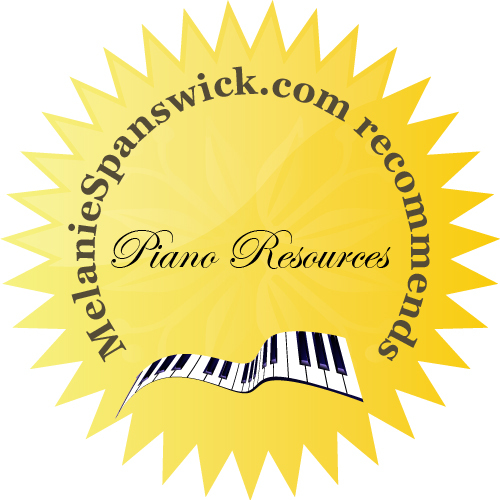 A selection of beginner’s volumes, great little elementary pieces, anthologies and fascinating piano related books as well as a novel, which should provide reading and playing material for the new school term. Enjoy! 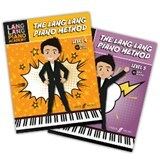 Earlier this year The Lang Lang Piano Method (volumes 1, 2 & 3), written by Chinese star pianist Lang Lang, was launched by Faber, and now volumes four and five have been released. 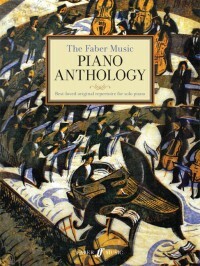 A cartoon Lang Lang appears throughout these books providing encouragement, taking young pianists step by step through every section.These books build on the learning process already established in the first three publications, introducing new keys, rhythms, extending technique through repertoire which includes original pieces and famous tunes. Find out more and purchase here. This is a new collection of 111 original easy piano pieces published by Schott and collated by the excellent German composer, teacher and arranger, Hans-Günter Heumann. Including popular repertoire as well as many less known works, over 60 composers from the Baroque, Classical, Romantic, and Modern periods are featured. This books comes from the Pianissimo series, designed as an introduction to the collection, Für Elise. You can find out much more and purchase here. 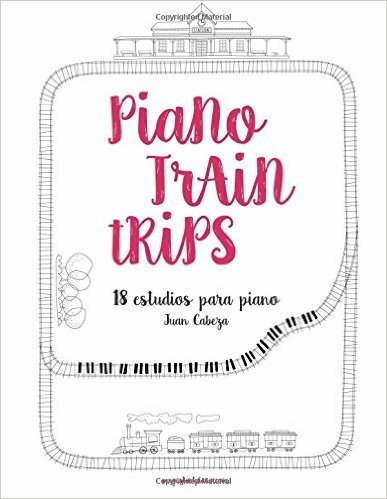 Piano Train Trips is the first book written by Spanish pianist, teacher and composer Juan Cabeza. The book includes 18 Études and 9 Exercises with duet accompaniment, downloadable audio recordings of the pieces and play-along accompaniment for the exercises. Each étude covers a particular technique: scales, intervals, arpeggios and chords, which are all presented in an original and attractive way. They are fresh, modern and exciting pattern-based pieces. These pieces can be enjoyed by children or adult students, and are of a late elementary level. The book is available for Europe here and a digital edition can be purchased here. Soon, It will also be released in the US by Piano Safari (pianosafari.com) and a German edition will be published by zauberklavier.de. 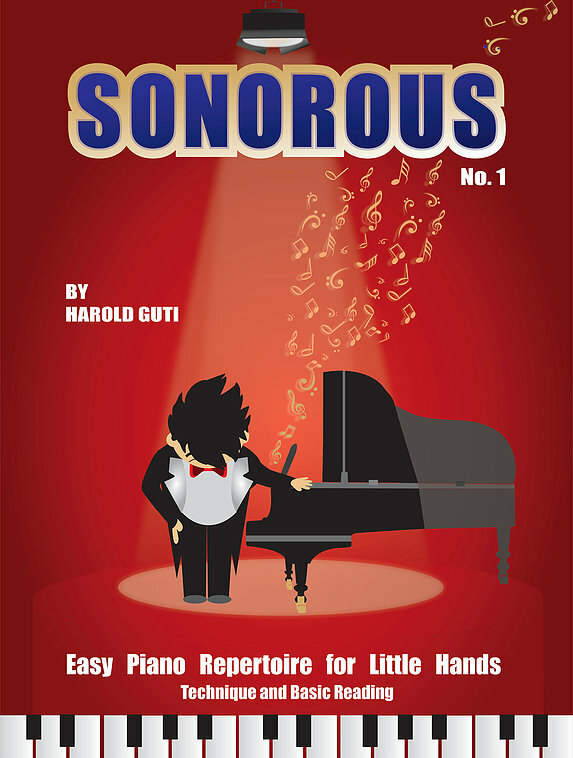 New this past month, Sonorous is an original collection of Piano Solos by Colombian pianist and educator Harold Gutiérrez. The books take students from beginner to intermediate level (Book 1), and intermediate to advanced level (Book 2) adopting the 21st century view of music education, in which enjoyment of performance is first and foremost. Each piece presented in this book has been composed as complementary material for young players and their teachers, encouraging students to perform and experience their musical achievements on stage. There are two books in the series so far, and the first is designated ‘for little hands’ with plenty of interesting melodies and technical exercises at the end of the book. You can find out much more, hear some of the pieces, and purchase here. A collection of 23 pieces by Irish composer June Armstrong. Intended for elementary level students, June’s music is predominantly educational with emphasis on interpretative qualities, engaging a pupil’s imagination. This is certainly evident in these works, which rely heavily on atmospheric harmonies. Safari charts the course of a day in Africa, starting with African Dawn and ending with Night Sky with Stars. Meet all the animals along the way – gazelles, flamingos, lions, giraffes, hyenas, monkeys, elephants and many others. Pieces often use specific hand positions, suitable for less experienced players. You can hear each piece here, and find out more and purchase here. Containing 78 piano pieces, this large volume is suitable for those from Grade 2 – 8 (elementary to advanced), and has been designed as a gift book; a luxury hardback edition featuring high-quality premium paper and ‘The Concerto’ linocut cover image by Cyril Edward Power. Published by Faber, it has been compiled by myself and will hopefully interest a variety of levels and abilities. Many pieces are very well-known penned by the great composers, but there is also a cohort of less familiar works (and composers). From late Renaissance music through to mid to late Twentieth century, piano lovers can enjoy reading through (and learning) a much-loved repertoire of core pieces. Out later this month, you can find out more and purchase here. Published by Schott and containing 25 traditional tunes, this book is sure to be popular with all those who appreciate and enjoy playing traditional music. 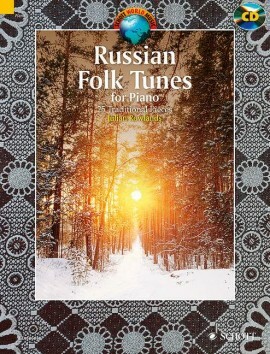 A selection of melodies including Russian folk tunes, Russian Gypsy music and Russian Jewish music, as well as folk music from the Ukraine. The pieces have been edited and arranged by British bandoneonist, composer and arranger Julian Rowlands, who performs them on an accompanying CD. There is also a brief history of Russian music as well as notes on the pieces (which are also available in French and German). The arrangements are from approximately Grades 4-8 level. You can find out more and purchase here. A new collection published by Schott, written by British jazz composer and writer Tim Richards. This volume contains 13 original works for piano by Richards and 2 arrangements (a traditional song and another by Jelly Roll Morton). There are copious interpretation, technique, theory and performance notes, accompanying each piece and a helpful CD of all the pieces (played by Tim). Chord symbols are provided to aid improvisation, and in my opinion, the volume complements other books in the series; Improvising Blues Piano, Exploring Latin Piano and Exploring Jazz Piano (all Richards’ publications). For more and to purchase click here. Written by British pianist, teacher, writer and composer Mark Tanner and published by Faber in conjunction with EPTA (European Piano Teachers Association), this book is sure to be a winner for all pianists, presenting a fresh perspective on playing and performing. 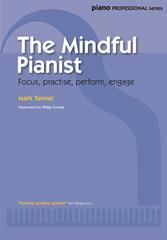 Applying the concept of mindfulness to the piano, this text explores the crucial connection between mind and body: how an alert, focussed mind fosters playing which is more compelling, refined and ultimately more rewarding. It also tackles the issues encountered by pianists when practising, performing, improvising and preparing for an exam too. Drawing on the expert advice of 25 leading pianists and educationalists (I’m delighted to be amongst those mentioned! 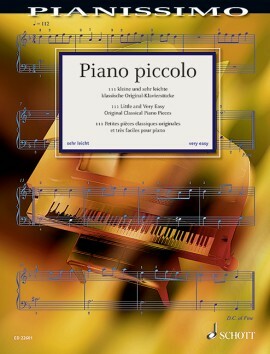 ), this unique book offers a wealth of exercises and musical examples to help every player succeed in becoming a Mindful Pianist. Out later this month, you can pre-order here. A delightful little book written by British piano tuner Peter Tryon (cousin of concert pianist Valerie Tryon) and published by Austin Macauley. This volume is essentially an autobiographical tale of a life spent tuning the pianos of those in East Anglia (in rural UK). 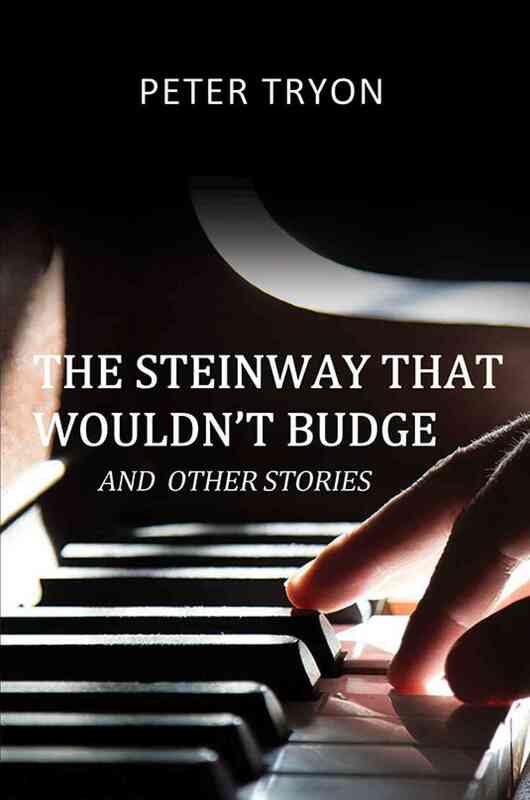 It’s full of anecdotal tales from boyhood piano lessons and moving pianos in all kinds of situations, to ghostly tunings (my favourite stories! ), there is much to enjoy in this publication. You can purchase it for kindle and as a hard copy, on Amazon here. 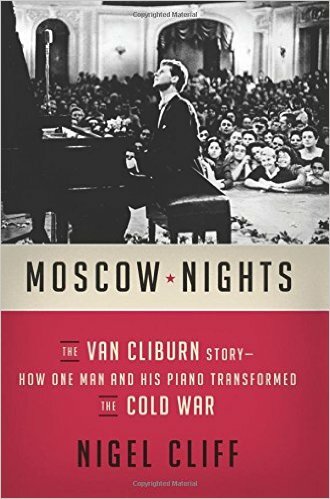 A thick non-fiction volume written by British historian and biographer Nigel Cliff, and published by Harper Collins, this book tells the story of Van Cliburn, who, as a young pianist from Texas in 1958, travelled to Moscow to compete in the First International Tchaikovsky Competition. An unknown pianist, Van Cliburn was not the favourite to win, indeed a Russian had already been selected, but his playing captivated the nation. The novel brings together the drama and tension of the Cold War era, with a gifted musician whose music would temporarily bridge the divide between two dangerously hostile powers. You can find out more and purchase here.